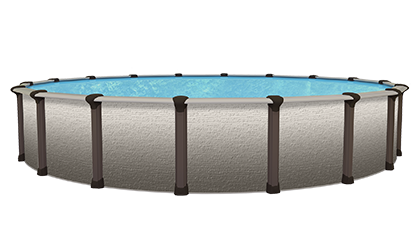 The Burgess Aboveground swimming pool by Blue Cascade is one of the most impressive aboveground pools in the Blue Cascade product line. The beauty of the waterfall is matched by the beauty of the Pearl Hybrid Aboveground Pool by Blue Cascade. the Pearl Round Hybrid Above-Ground Pool adipiscing elit. We Have A Pool For You! The Blue Cascade Pool Line offers a full gammit of choices. 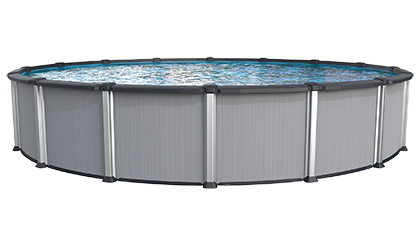 We have a pool in your price range, for your application and the perfect fit for any yard. 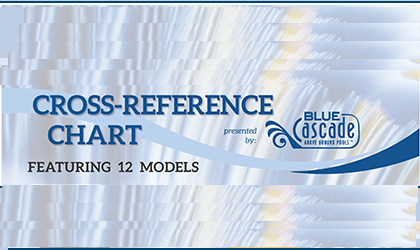 Blue Cascade offers a comprehensive line of pool finishes for even the most discriminating homeowners. A large selection of patterns means the perfect accent to your decor. 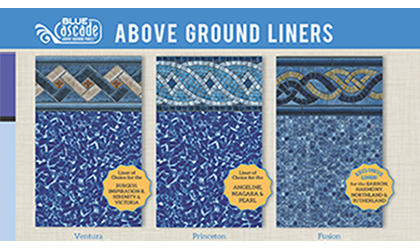 Plus our top of the line Blue Cascade Above-Ground Pool liners are proudly manufactured in the USA. No Diving or Jumping. Above-ground pools are designed for swimming only. At Blue Cascade Above Ground Pools, your family's security is our priority. Always ensure the proper supervision of children when around a swimming pool.